During a radio interview on Martin Luther King Jr.'s birthday, Rauner was asked if President Donald Trump was racist following reports he used vulgar language to refer to African nations. Rauner declined to answer, saying Trump's alleged comments "has no place in our political conversation." When WVON-AM host Charles Thomas asked if Duke is a racist, Rauner would only respond that there is racism in our society. 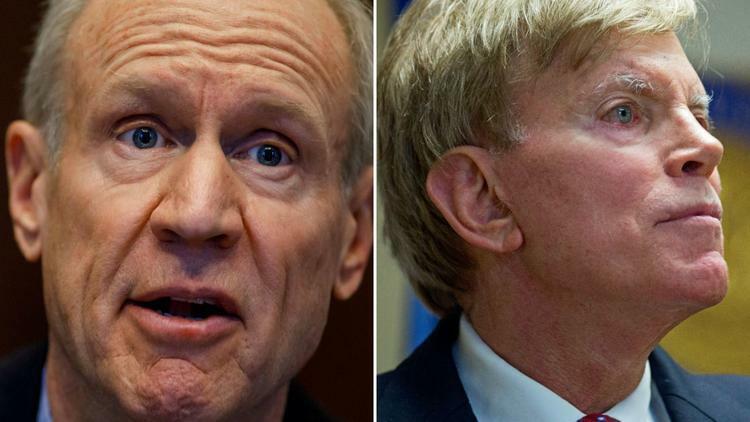 On Tuesday, campaign spokesman Justin Giorgio said in a statement that Rauner "believes that David Duke is a racist." Democrats were quick to seize on what they characterized as Rauner's attempt to "mince words."